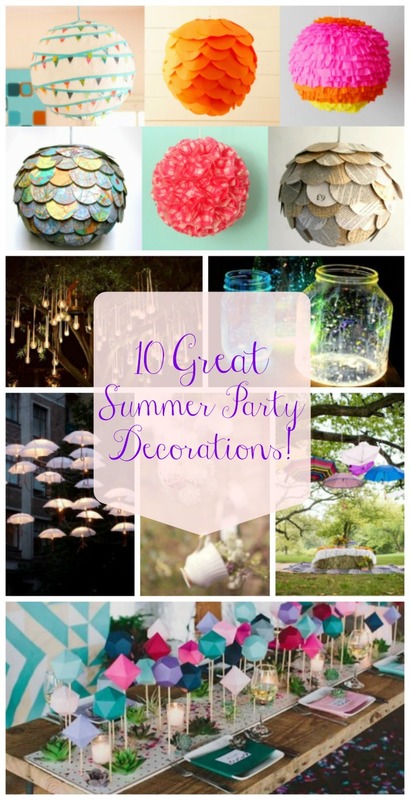 10 Great Summer Party Decorations!! Lovelies, you are in for a treat today! 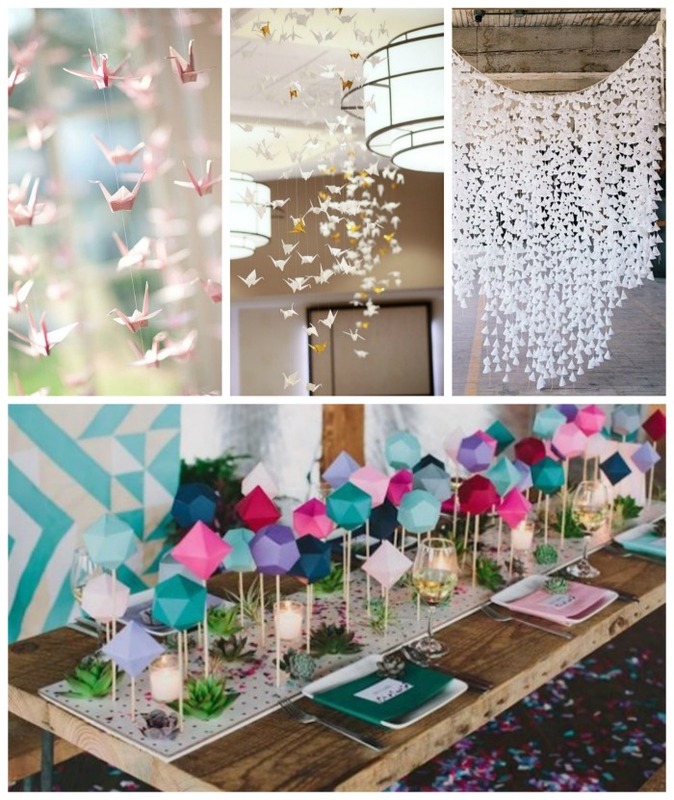 We have a seriously lovely round up of some fabulous summer party decorations that we know you are doing to love! From hanging mason jar lights to hanging candles, lanterns and even origami decorations, there are so many unique ideas out there for summer party decorations. Professional event planner Kenneth, shows us his favorite ideas and inspirations for great summer party decorations that we know you are going to go GaGa for. Be prepared to be inspired and get your decorating on for this summer because these ideas are amazing! We all know that at least half of the fun of hosting a party comes from planning it and decorating the space. Indeed, party-lovers spend tens of hours on Pinterest choosing the most appealing drinks, the best lighting and the most beautiful decorations to impress their guests with. So whether you’re preparing to host a fabulous themed party or an unforgettable outdoor soiree, here are 10 great summer party decorations to make your event one-of-a-kind. You’ll be stunned at how easy it is to make sure that your party is properly lit. 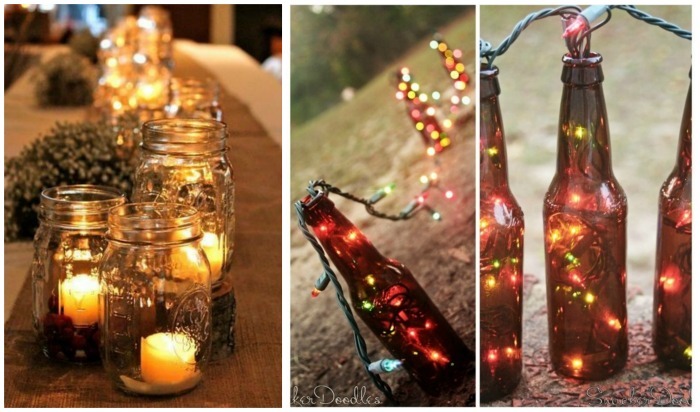 Mason Jars are a decorator’s dream since they’re so versatile: you can scrape together a bunch of jars (try to find different sizes and heights for a great effect) and empty glow-sticks inside. 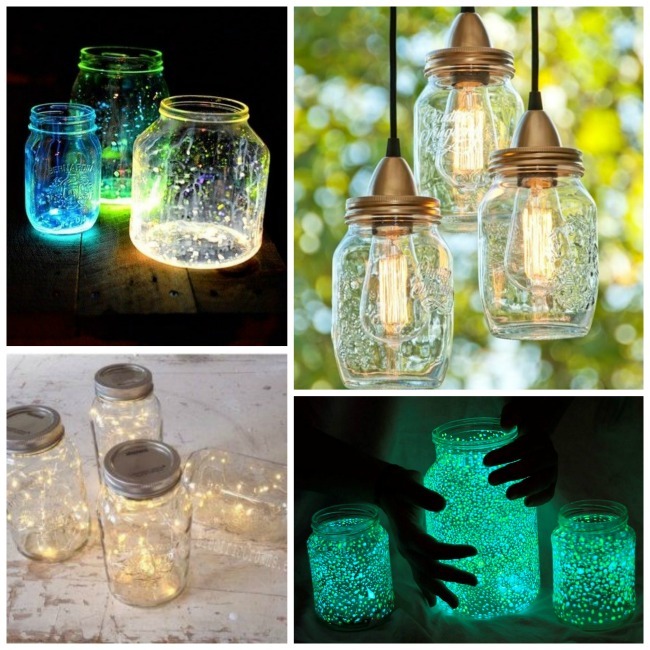 An alternative is to place string lights inside larger Mason Jars for a firefly-like effect, light bulbs (though this takes a bit of handiwork), or to use glow-in-the-dark paint for an even better effect. Candles are the go-to choice when it comes to table runners. Whether you go for jars or DIY options, there’s certainly beauty in a delicate candle-lit table runner. However, there are bolder choices, such as this beer bottle and string light table runner that will surely steal the show. Though balloons and ribbons aren’t your go-to decoration choice nowadays, there still are creative ways of incorporating these classics into a more modern party theme. 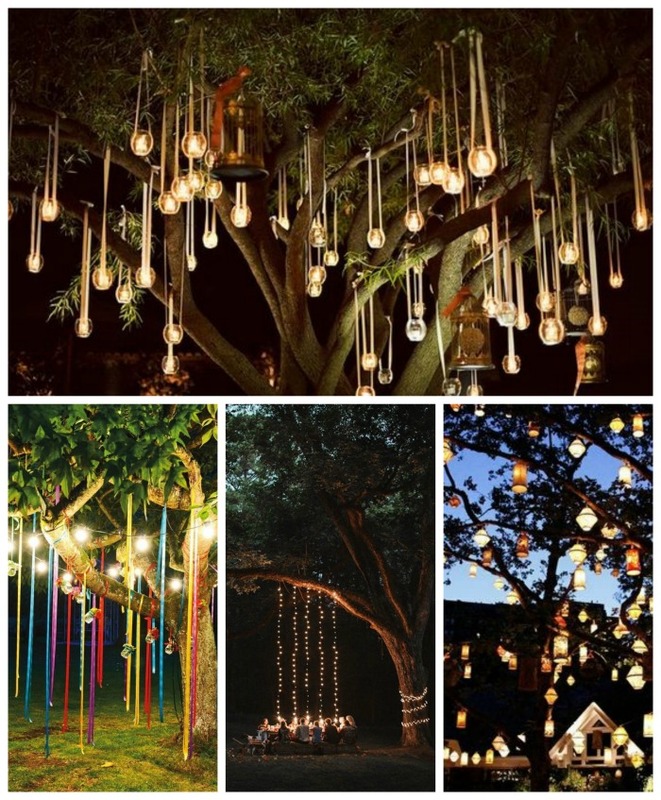 Hang string lights, ribbons, and other colorful décor from trees and turn your outdoor party into a magical event. You can even hang photo frames with your guests for a cute surprise. 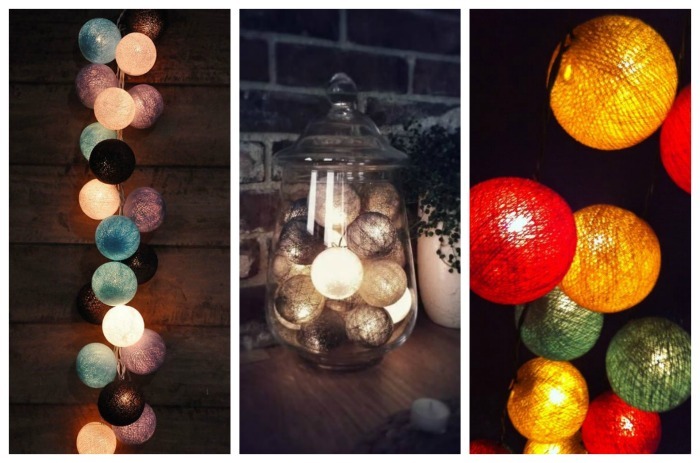 Lanterns, light bulbs and candle jars are also great alternatives. Reinventing the wheel can sometimes work, especially when there’s glitter involved. 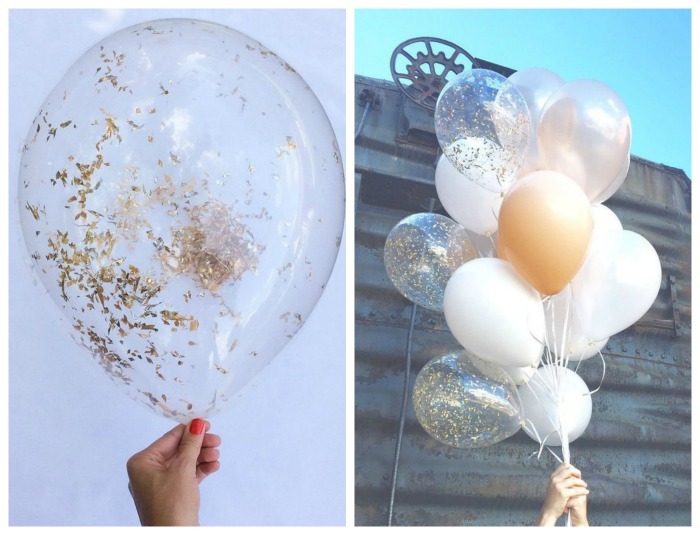 You can always use glitter balloons as a summer party decoration, especially if you plan on releasing the glitter inside at some point. 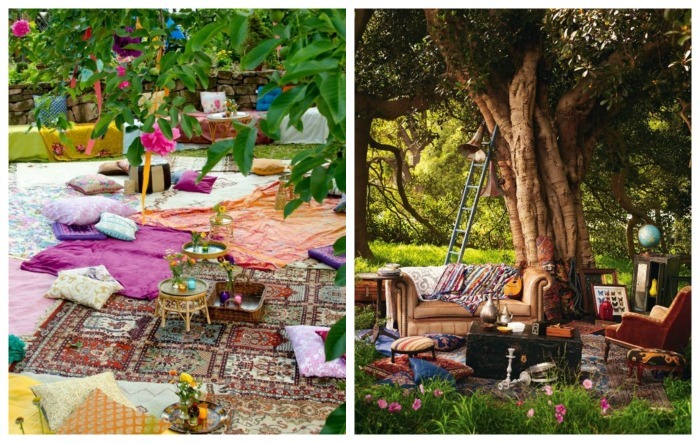 Colorful and oriental pillows, pom-poms, ribbons, blankets and chairs all work perfectly together to create a boho-style outdoor party. Choose old paintings, vintage candlesticks, eclectic and cozy vintage furniture, and exotic fabrics for a night to remember. Oh, and make sure that you’ve triple checked the weather forecast. These adorable-looking lights will surely work beautifully for both indoor and outdoor parties. 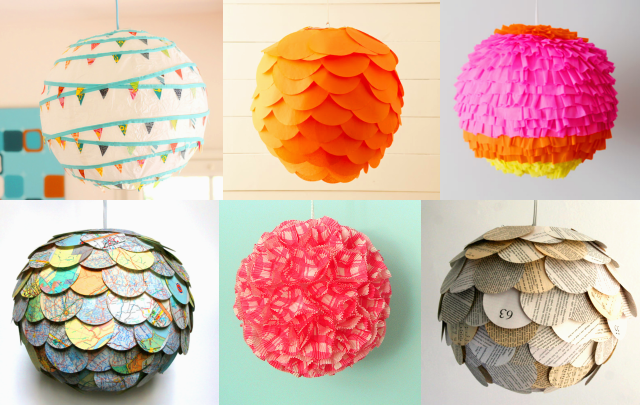 Be creative and use them as table runners, or string lights. If you have the time and the patience to decorate with such intricate creations, you’ll not only be keeping the party affordable but also memorable. Tissue and colored paper are everything you need (alongside a pair of steady hands, scissors and some string). Though seemingly banal, colored umbrellas are great decoration items and will certainly add a bit of edge to an outdoor party. You can hang them upside down from tree branches, hang candles underneath them or hide lamps behind beautiful umbrellas and scatter them across the garden. The effect will surely be unforgettable. The key to any party is originality and if you play your cards right, you can even turn a temporary set of decorations into a longstanding part of your garden. 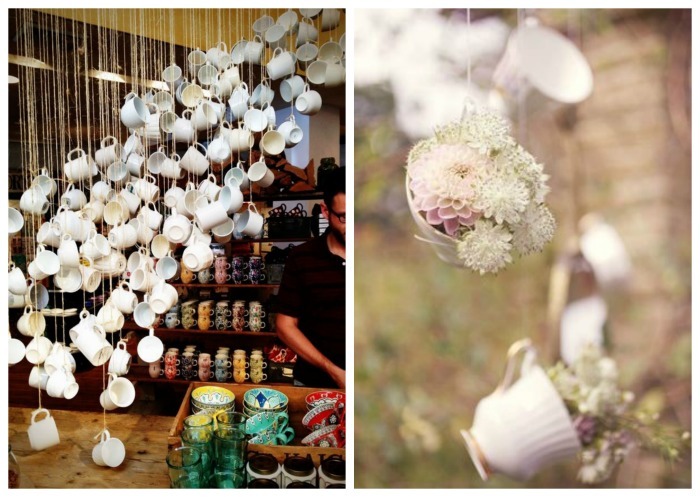 For instance, you can get creative with teacups: paint them or fill them with flowers and let them delight your guests. Lanterns are a great decoration for helping set the mood. Whether you choose to incorporate a light bulb inside the lantern or not, you can be sure that your guests will appreciate the effort that went into creating these summer decorations. 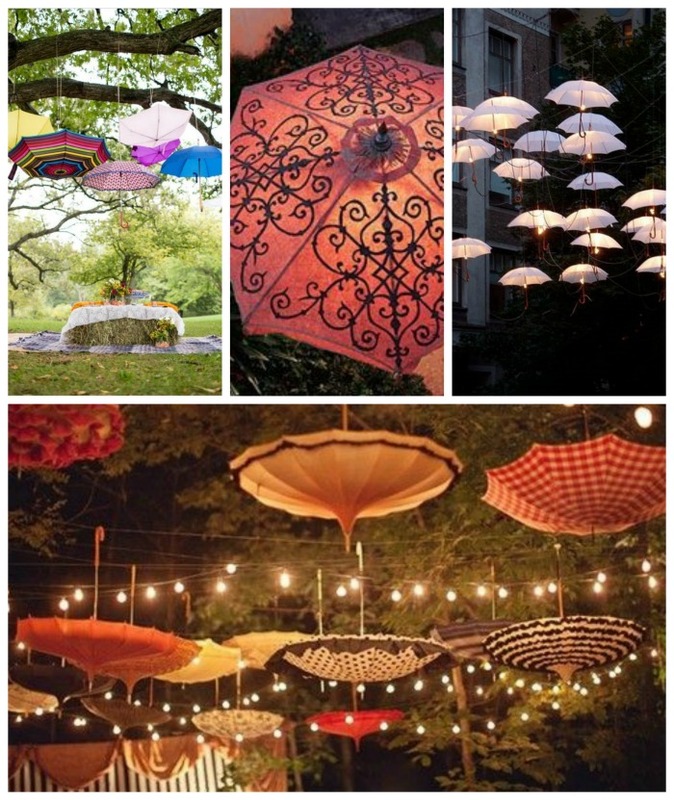 What types of decorations do you use for your summer parties? Let us know in the comments sections below!